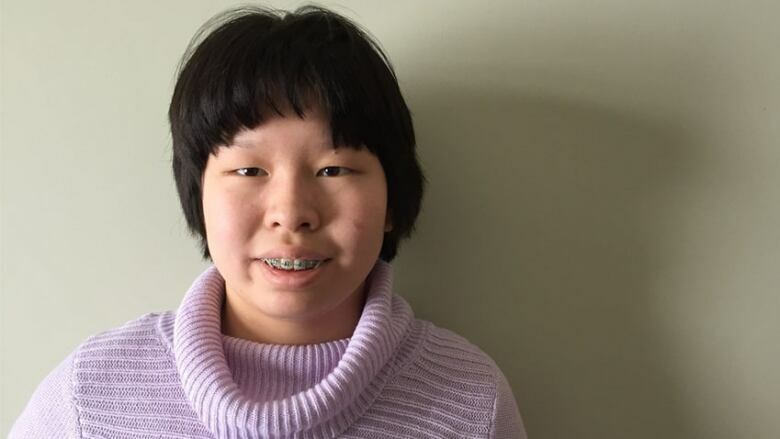 Yulin Harley, 15, is one of 10 finalists in the Grades 10 to 12 category of The First Page student writing challenge. Gnarled Glitches by Yulin Harley is one of 10 stories shortlisted for The First Page student writing competition in the Grades 10 to 12 category. Students across Canada wrote the first page of a novel set 150 years in the future, imagining how a current-day trend or issue has played out. Nearly 2,400 students submitted their stories. Harley, a student at St. Johns-Ravencourt in Winnipeg, Man., tackles environmental issues and technology in Gnarled Glitches. It would appear that I have my programming still has lasting holes from remaining inactive for so long. 78 years will do that to an android. Alas, it does not matter what date it is; the point is that I must find my way back to-ERROR. Well, perhaps it is crucial that I find a way to get, as my scientist called it, a "tune-up." Despite all the plants overtaking this abandoned city, I do not look entirely out of place. The harsh chemical buildup in the environment has warped the flora and fauna to the degree they are no longer recognizable to my database from almost 3/4ths a century past. My software is normally versatile at suddenly updating to assimilate to new environments, but suffering these malfunctions greatly decreases its efficiency. At most, I can add a mere 10 species per minute to my database, when I could add 30 in half the time. Then there is the other matter to deal with; Subject PZ-3529. My scanners had found it locked inside a cryogenic freezing chamber (dreadfully outdated and falling apart, mind you) and looking on the brink of death. I would have left the creature there, if not for my electricity jump-starting the chamber and depositing it on the ground at my feet. Just like a newborn Anatidae, or rather, "duckling" out of its shell, it immediately imprinted on my presence and I can not elude it no matter what techniques I may try. So I am here, on my now much-less efficient journey, being trailed by a human experiment that survived the 25 years it had been preserved with an interior chamber. We are losing daylight swiftly and I am gaining a sense of dislike, from having to wait for it to keep up with my pace. Though the worst thing to actually gain on this travel would be… humanity. I am content serving without flaw the way I am. A personality, emotions, can you even fathom it? I am the embodiment of perfection, but it will be a challenge with both my faulty programming and this… thing watching my every step. The moment I find human life, I will distribute my duties of taking care of PZ-3529 onto them and continue my journey without it. It must be the malfunctions telling me it isn't.